The 7th annual ICEF Mexico–Colombia Agent Roadshow is your opportunity to meet international educators and service providers coming to Mexico and Colombia. This event is split between Mexico City and Bogotá, and agents are selected to attend only in their home market of either Mexico, Colombia, or Central America. As an agent, you must provide multiple references from current business partners, as well as proof of ethical business practices and a successful track record of placing students at international institutions. This strict selection process ensures a quality experience for all of our participants – as well as confirming your status as a leading student recruitment agent in your market. This roadshow provides an excellent opportunity for you to pre-schedule one-to-one meetings with international educators and service providers looking to recruit from Mexico, Colombia, and/or Central America helping you to consolidate existing partnerships and establish new connections. In addition, informal networking opportunities over lunches, coffee breaks, and evening functions allow you to develop the social aspects of your business relationships. ICEF Mexico–Colombia is the most efficient and cost-effective way for you to meet a large number of leading educators and service providers looking to do business in your home market. 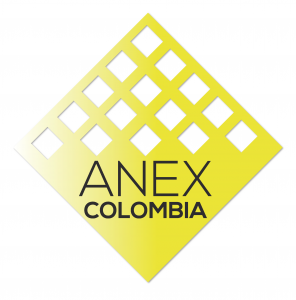 Agents from outside Mexico City and Bogotá receive complimentary accommodation. To ensure that you are well prepared and make the most of your event participation, it is important that you read the Agent Information Pack below. 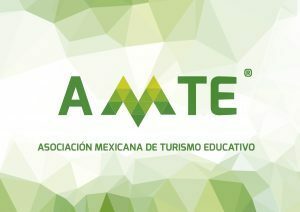 Mexico City – Agents based outside of Mexico City will be offered two nights of accommodation from Monday afternoon, March 4, 2019 until Wednesday morning, March 6, 2019 at the Hilton Mexico City Reforma Hotel. Bogotá – Agents based outside of Bogotá will be offered two nights of accommodation from Thursday afternoon, March 7, 2019 until Saturday morning, March 9, 2019 at the Hilton Hotel Bogotá. We really like to come to this Roadshow because we find it very useful to get new contacts and updates on education abroad. Excellent event, congrats for the organization, I registered expecting new contacts in specific programs and countries (Germany, UK and Portugal) and I got it. Thank you very much for such a great event. The follow-up was very punctual and this kind of event provides the opportunity of increasing our business relationships in the easiest way! I have attended ICEF events for the last 18 years. Always excellent, all my schools come from an appointment at an ICEF event. I like ICEF events very much, I get a lot of contacts from excellent schools.